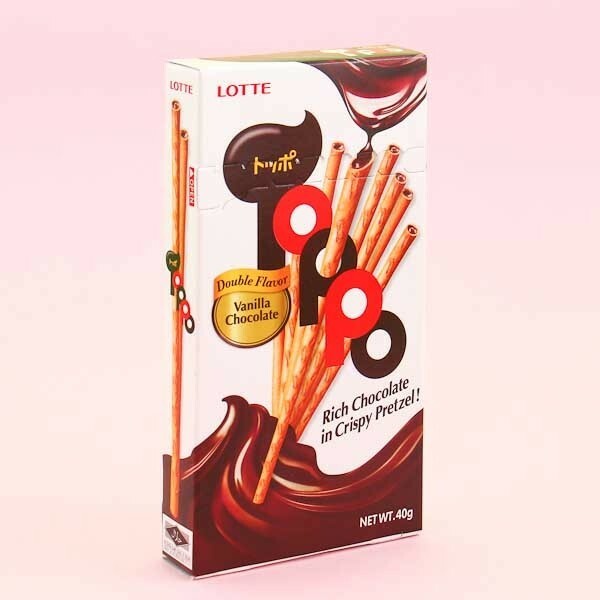 Lotte has created tasty and crispy biscuit sticks that are filled with delicious creamy fillings! These vanilla-flavored pretzel sticks are filled with a rich milk chocolate filling. 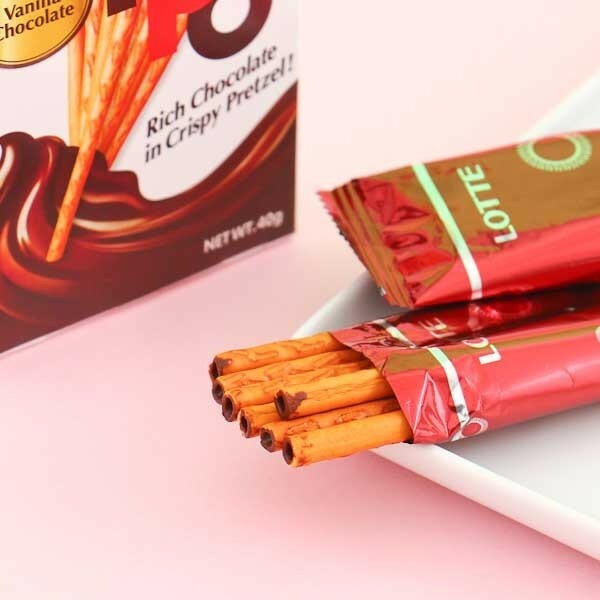 Enjoy the double flavors of vanilla and chocolate in these handy pretzel sticks. 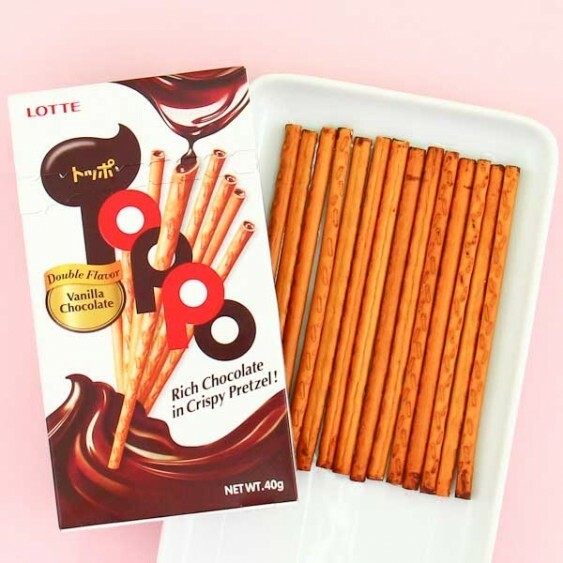 The pretzel sticks are very crispy and you can eat them while keeping your hands clean! The sticks come in a neat pack that is easy to carry with you, and you can also share them with your friends. Yummy!